Six men have been jailed for a total 18 years after violently assaulting a man in the Northern Quarter in February last year. 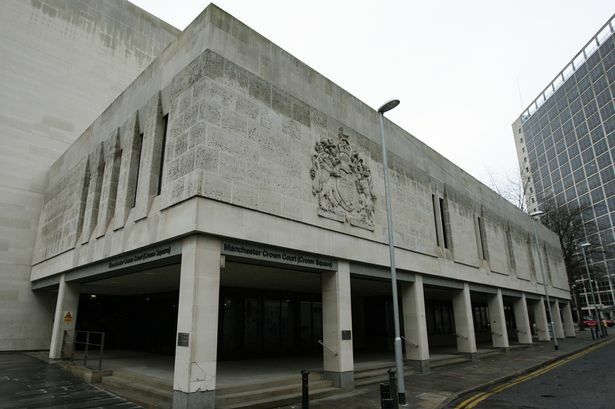 Manchester Crown Court heard that after the 25-year-old man left a bar but was unable to find his friends, he approached the the group of men and began talking to them. He was suddenly forced against the wall of a building during the encounter and then assaulted, before being grabbed and dumped into the middle of the road where he was punched and kicked repeatedly. The attack continued until another group of people leaving the bar disrupted them and called for help. The man was taken to hospital where he was treated for a broken jaw and other serious injuries. Sentenced for causing grievous bodily harm with intent and violent disorder, brothers Jamie Wright, 21, and, Joshua Wright, 23, both of Downs Drive, Timperley, Leo Doyle, 24, of Hendham Drive, Altrincham and Jack Callaghan, 21, of Amberwood Drive, Baguley were each sentenced to two years in prison for violent disorder. Charlie Potts, 21, of Grove Lane, Timperley was sentenced to five years in prison, and Arron Garner, 23, of Stamford, Altrincham was sentenced to five years and six months, both for causing grievous bodily harm with intent. Detective Constable Sarah Wright, said: “Every one of the men involved in this violent and unprovoked attack on an innocent man has been taken off the streets. “The way they carried out such a sustained and brutal assault on this man, who was trying to befriend the group, should leave them feeling deeply ashamed”.